Shine 2016 – an extravaganza of fashion, music and dance – will be hitting the stage at the Commodore Ballroom on September 10th . This wonderful evening is made possible by hundreds of individuals who are rallying together for mental health. Communities helping communities! Every single person and every single business involved is volunteering their time and services. Because of their generosity, Shine! will be able to donate 100% of every dollar raised through ticket sales and donations directly to the evenings recipients - Canadian Mental Health Association and The Lions Gate Hospital HOpe Centre. As a thank-you, we will be highlighting some of the wonderful people and businesses who are working hard to make this evening the best it can be. 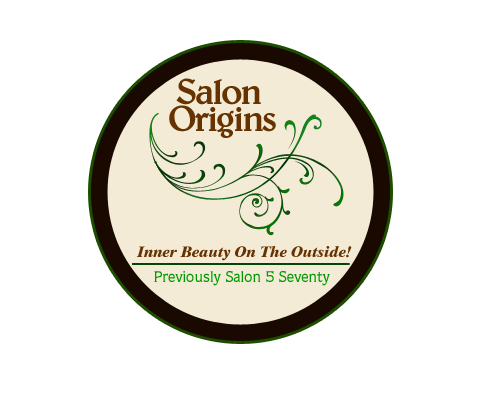 Today's interview is with Salon Origins, one of 14 salons participating in SHINE! Please share a bit about Salon Origins - when was it opened, what is the salon's approach/philosophy? Salon Origins opened 6years ago. Our philosophy is to help our clients move away from cookie-cutter hairstyles and express their original beauty on the outside. "Inner beauty on the Outside"
Please share about your journey to open this salon. If you have an interesting or funny story about the process we'd love to hear it. After being in the hair industry for so long (30yrs), I heard a lot of new clients tell me that they left their previous hairstylist because they didn't feel they were being heard (on their hair needs) or felt well cared for. Along with seeing how staff were being treated by owners, I saw a need in true professionalism. After being an educator in our industry for other hairstylists and owners, I really wanted to "walk my talk". So I fell into a vacant salon location and discovered that opening my business was the scariest thing I had ever done in my life, yet now, the very best thing I ever did. In the beginning, I was ready to jump off a bridge because of all of the things that happen in the first year of opening a business – constantly staring at my bank account watching to see if I will cover rent and payroll as well as booting out my business partner after just 4 months. Then I had to learn the operations of running a business! Now, after 6 years of business and several attempts at finding the right culture, I have a thriving little salon and am extremely proud of what I have created. I lock the door each night looking in and say to myself, "I did it! And look at who I have become". The strong successful person I was always striving to be, for me! How many artists work here and what is the range of services you offer clients? 3. Hair services ranging from blowouts, technical cuts, hair smoothing treatments and we specialize in hair colouring. Denise is award winning! 4. At home hair care product for all hair needs. All are high end quality and eco-friendly. 5. We are also a Green Circle Salon member. We recycle 95% of all of our waste, from the hair swept up off the floor to the excess hair colour in our colour bowls! 6. An experience that will leave you wanting to let all of your friends know about this little oasis in the heart of downtown Vancouver. What would you most like future clients to know about your salon? Salon Origins offers new clients a special promotion: Book for a colour and receive the haircut for FREE! For interested new clients - how should they book a consultation? Connect with the right artist? Please share how you heard about Shine 2016 and why you feel it's important for your salon to participate in this fundraiser in this fundraiser for mental health and addiction which address the stigma of mental health. I heard about Shine from Dean Thullner. I am completely drawn to his passion in making a difference and making a stand on no stigma! We participated last year and I loved seeing all of our hard work on stage and more importantly, how the participation brought my team closer together. I also have family members that are bipolar and have watched them first hand struggle with depression. Then of course there have also been the countless number of people in my life that I have seen battle addiction. I feel it's important to participate because people with mental illness and addiction are just like everyone else. Shine 2016 is going to be a do-not-miss amazing showcase of fashion, music and dance, all in support of The Canadian Mental Health Association and The Lions Gate Hospital HOpe Centre. #nostigma Canadian Mental Health Association charity Dean Thullner events fundraiser hair salon mental health Salon Origins SHINE The Lions Gate Hospital HOpe Centre.